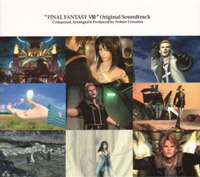 The Final Fantasy VIII Original SoundTrack is covered on 4 discs with a total of 74 tracks. The total playtime is over 4 hours. The music has been composed and arranged by Nobuo Uematsu.